downtown monthly Rental - Steps from king st. & rutledge ave. 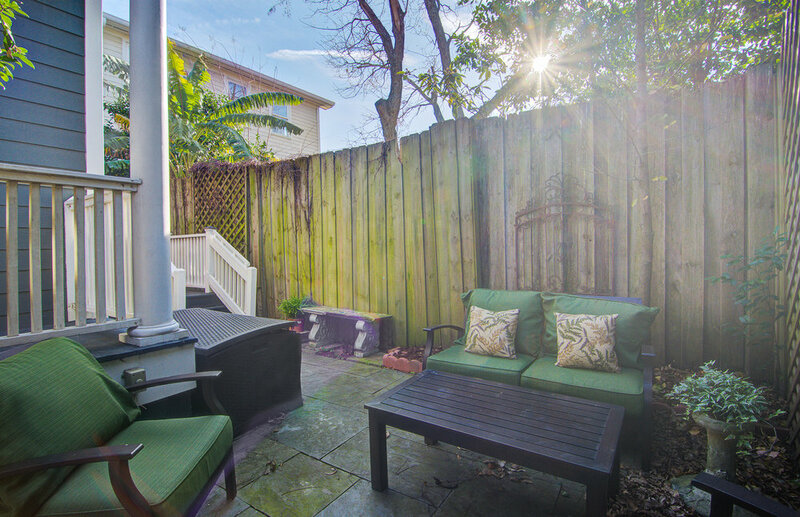 Cozy Charleston Single in Downtown located off a quiet, tree-lined street. This property comes with off street parking for 1 vehicle and features custom kitchen cabinetry, granite counter tops, and stainless steel appliances. Great location, close to I-26, King Street, Rutledge Ave and Hampton Park. The double front porches and a landscaped private patio are perfect spots for your morning coffee. There are 2 Bedrooms. One with a Queen Bed and One with a Day Bed with twin trundle (2 twin mattresses) 1 Full Bathroom upstairs with Shower/Tub combo and 1/2 Bath downstairs. Full size washer and dryer located downstairs. Guests have access to the entire house. Off Street Parking for One Small/Compact Car. The house is pet friendly with limit of 1 dog max 25 lbs. This home is located in the North Central neighborhood of Charleston, very close to Hampton Park. Several restaurants and a grocery store are within walking distance. Located close to I-26, King St. and Rutledge Ave. Inquire About 1 F Here!